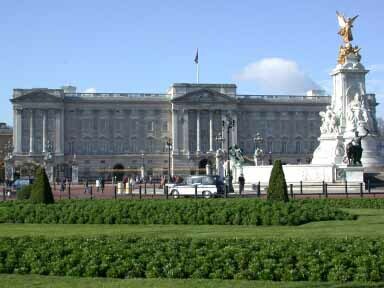 The Buckingham Palace began in 1702 when the Duke of Buckingham built as his London home. The Duke�s son sold the house in 1761 to George III, it was renamed �Queen�s House� in 1774 . When it passed to George IV in 1820, Nash was commissioned to make alterations to the palace. Buckingham Palace has served as the official London residence of Britain's sovereigns since 1837. Queen Victoria was the first monarch to take up residence in Buckingham Palace.